The 6 bar pump pressure, vertical steam option, automatic steam control and 100g per minute steam output will smooth out even the toughest creases. 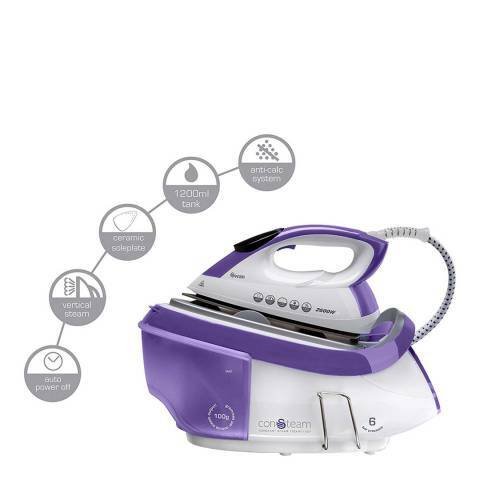 With a generously proportioned 1.2L detachable water tank, which can be refilled at any time, you can iron for even longer between refills. 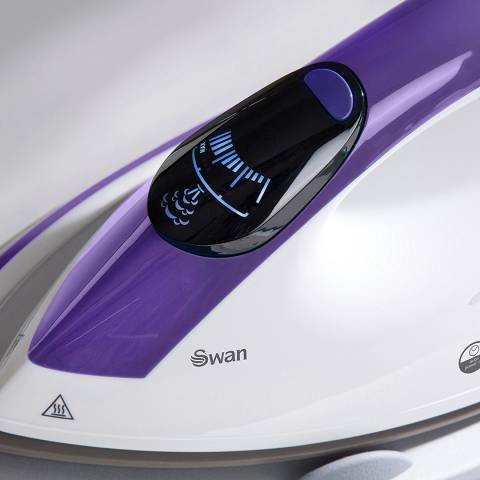 The high quality 51 vent hole ceramic coated soleplate will glide over them with ease. 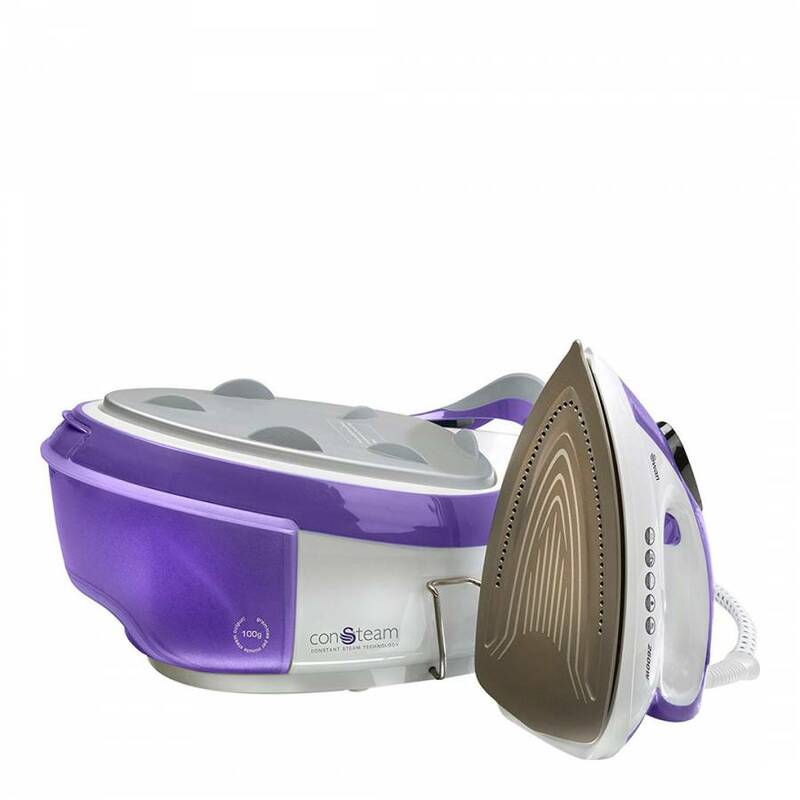 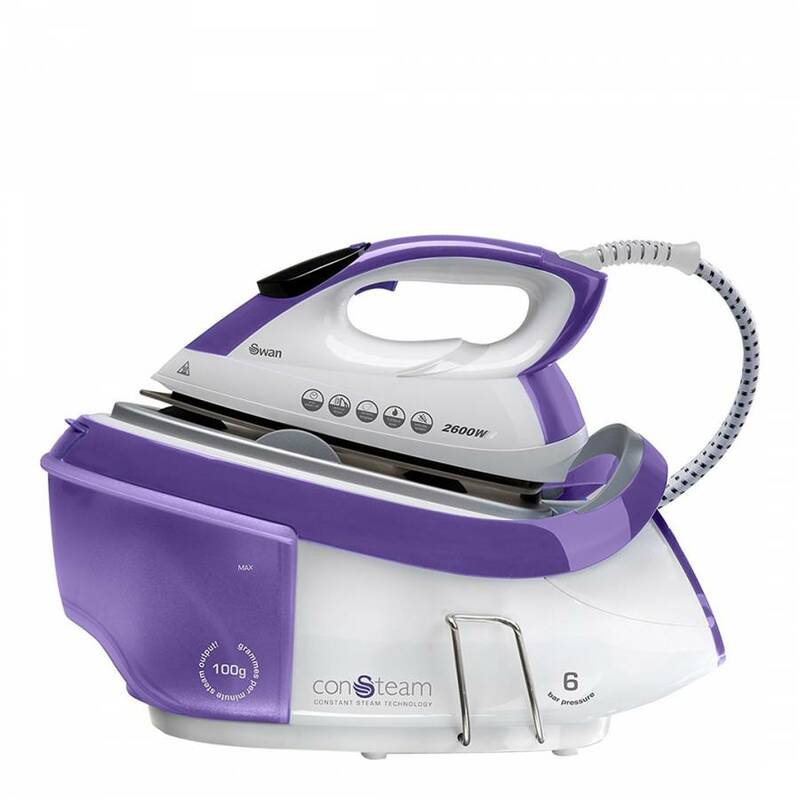 Whether you are pressing shirts, trousers or even delicate fabrics, this iron can handle it all with ease. 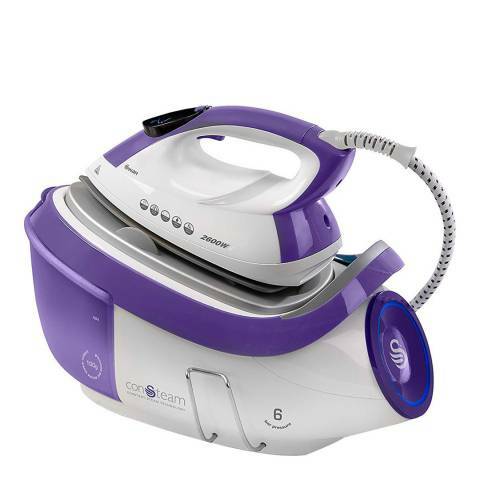 2600W of power and electronic auto steam control, for quick and efficient steam ironing. The iron also benefits from a self cleaning function and the double anti scale system with replaceable smart cartridges in the water tank helps to prevent build up for hassle free maintenance.